Buildings use around 40% of our total energy consumption and account for over 30% of Europe’s greenhouse gas emissions, but innovative building concepts – such as passive houses, zero-carbon buildings and whole house retrofits – are not yet widely used by the construction and renovation industry. How can we accelerate the uptake of these new innovations?This was the question we set out to address in a recent task for the Centre on Innovation and Energy Demand. We systematically reviewed academic studies on residential low energy buildings reported in Europe between 2005 and 2015. Contents of abstracts of 3120 hits were analysed, resulting in 28 articles and containing 40 case studies. The review sought answers to questions such as: What can we learn about successful low energy building projects? How to support the diffusion of systemic innovation in this area? What drives such innovation? What kind of actors are needed to facilitate innovation? First, environmental concerns were almost always a key motivation for undertaking the projects. 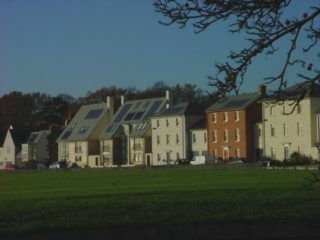 For example, in a project renewing social housing in Cheshire, UK, client demands encouraged builders to integrate sustainability in their developments. Second, in half of the cases, public policies at different levels (local, national and global) acted as a significant driver. We observed that in most cases, a mix of policies was important ranging from RD&D and deployment subsidies through innovative competitions to building codes and planning regulations. Building regulations have been important but not in every case. Voluntary government codes, such as the Code for Sustainable Homes in the UK and BaÌ’timent Basse Consommation (Low Energy Building) in France, were mentioned as drivers in five cases. Interestingly, design, health and comfort, and market drivers have played a minor role to date. Only in a few cases were market drivers, such as willingness to test the market readiness or viability of the concept, important. Clearly there is potential for such drivers to become more prominent. Design and comfort could increase the appeal of low energy homes for consumers. Avoiding poor-quality energy performance improvements is vital to avoid health problems that can sometimes be associated with energy efficient buildings (for example, when ventilation has not been planned properly). (1) Intermediaries acted as facilitators. This included actions such as connecting actors, speeding up planning and permitting processes and influencing local politicians. (2) Intermediaries created niche markets through developing planning policies and building requirements in exemplary districts. They also did this by searching for new technological and policy designs suited to these districts, and bringing together entrepreneurs and construction companies to showcase innovations. (3) Intermediaries implemented new practices in publically owned or social building stock by showcasing developments. They provided visions for development, created new partnerships and resources such as land, knowledge and finance. (4) Intermediaries supported processes to create new business models for low energy housing. For example, they organised competitions for new housing designs or connected actors from different processes to generate new business ideas. (5) Post-construction, intermediaries facilitated correct use of building technologies. They educated and negotiated with residents on how to use buildings and their technical devices (such as heating controls and so on) to ensure that they were used properly and effectively. 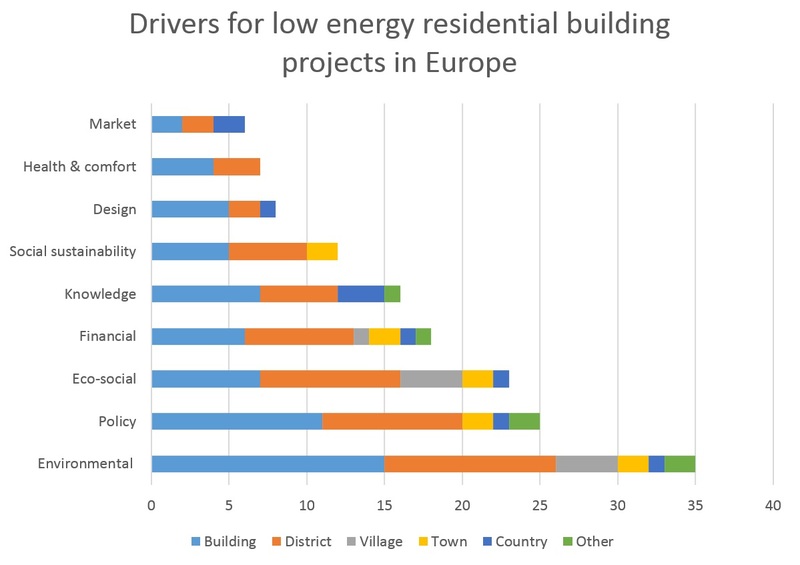 Our review shows that whilst there are several low energy building projects completed in Europe, learning from such projects has not received a great deal of attention in energy social science research. The review also shows that, while multiple reasons can motivate and drive low energy buildings, intermediary activities can be important throughout a building process, from idea generation and planning through to construction and end use.